Amala is a delicacy loved by a lot of people. Popularly consumed by the western part of Nigeria, this meal is made from yam flour. A lot of people like amala, so we decided to go look for where you can find this delicious meal in Abuja. No. 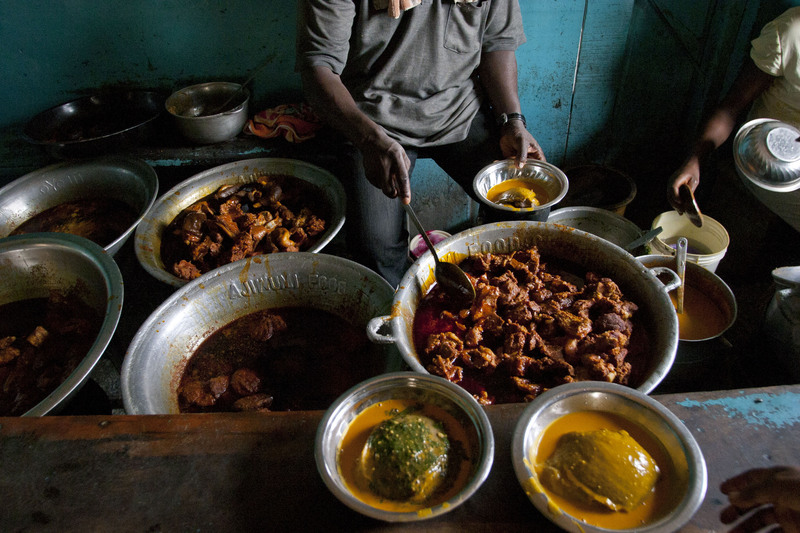 2: Amala joint in Wuye, located just before Peace Haven hotel. No. 3: Popularly called Alaja, this place is by the guest house near Jevinik in Wuse2. No. 4: Car wash place: Coming from Apo, it is the car wash just before Blake resort- Garki. No. 5: Mama Badan, located on Enugu street, off Lagos street in Garki. What stands this one out is that they open on Sundays. No 6: Secretariats, located opposite the secretariats in CBD(Central Business District). Here you can find a lot of options. Amala is my favorite recipe and most of the time I am enjoying it at my home. Your recipe is look more delicious and I'll try to enjoy it on my weekend.